We love this time of year, winter is coming to an end and the weather is slowly showing signs of spring. We figured since it's also the season of love, with Valentine's Day fast approaching, we'd give away one of our beautiful Swarovski crystal pendent necklaces! I love my new pink lace necklace--it looks great with a little black dress! I also love the pug necklace, because I'm a pug owner. I love the blue dream croched bracelet! I found this on the Etsy giveaway blog! I like that your pieces are unique. I love handmade and different. The Je T'aime necklace is my favorite! The Layered Link Necklace is my favorite! My favorite is the Peony Lace Necklace. I saw the giveaway on etsy giveaways. 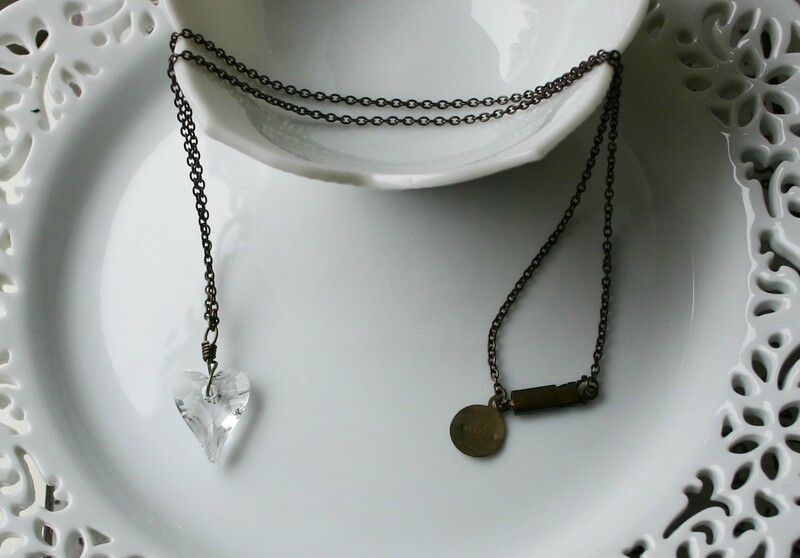 I like the heart cyrstal necklace! 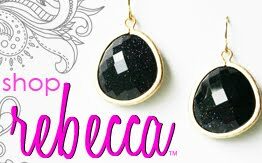 i "like" Rebecca on Facebook! Saw this giveaway on Etsy Giveaways. My favorite item would be the Love Letter necklace, it's just so unique and pretty! I found this through giveaway scout. I love the Layered Link Necklace, really pretty! I found this giveaway on the Etsy Giveaways blog! I love your Gold Dandelion Posts, simple but beautiful. My favorite Rebecca item is the Peony Lace Necklace. I love how feminine and delicate all the pieces are! I love the teardrop gold ring! I like Love Letter Necklace. I found out through Etsy Giveaways. My favorite is the Love Letter Necklace. I love the vintage lace ring. My favorite item is the Gold Teardrop Lotus Necklace with Gemstone. I Like you on Facebook as Christina Graham. I love the teardrop silver ring! I like the resting bird necklace because I love birds. My favorite item is the silver utensil necklace - just adorably quirky! I love the Traveler Lambskin Tote! I love the teardrop ring! I heard about this giveaway on Etsy Giveaways website.